Welcome to LombokRentCar.com, We Provide information about Lombok Sumbawa Island Rent Car, Lombok Car Rental, Lombok Cars Hire, Lombok Transport and more, services with safe, fun, exception, and help you finding unforgettable experience in your excellent nature adventure, holiday, and vacation to Lombok island and beyond..!!! Our official website www.lombokrentcar.com is Under License Lombok Travel Online (LTO Tours), provide Lombok transportation service within Lombok Island and beyond with the highest possible standards of cars, safety, driver efficiency, punctuality, and flexibility of operations. We are business-oriented and solutions-accommodating while following a policy of all inclusive, no hidden prices, which enhances the comfort of our services to as well as the confidence of our clients. All Cars Insured for Car Rent / Hire 100% Legal Cars, We Have More Than 15 years experience in the motor trade. You can be assured all vehicles are maintained to the highest standards. Lombok Travel Online (LTO Tours) rise to help you find the great exception for your Lombok Island and beyond travel in Indonesia Asia. To provide all of your dreams to be tangible ideas and trips management by do some great activities of adventure vacations, we combine helping locals to meet with you as one of all new worldwide friends. providing an idea to sniff the gorgeous of Lombok excellent Nature Island for your new unforgettable experience and provides an idea to make your family or related closer for your fortune future. Provide you travel packages, cars, hotels, guides, culinary meals, beyond Lombok packages with hotels reservations and services, for your unforgettable experience of adventure and vacations travel in Lombok trough beyond. Eko Budianto Hartono with Lombok Travel Online, a creative travel adventures would LOVE to help planning your next Lombok and beyond vacation. 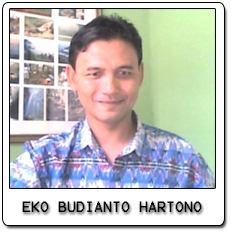 Eko Budianto Hartono are Lombok tour and adventure Specialist, has special travel product, and service that specializing in island adventures, eco tourism, Rinjani volcano trekking, beach weddings, and scuba vacations to the islands of Lombok. They has traveled to many of the Lombok and beyond islands and stayed at numerous resorts throughout Lombok and beyond. Please send your vacation inquiries, Eko Budianto Hartono will contact you with great vacation planning for you in Lombok Island. Eko Budianto Hartono passion for travel has leaded him to such exotic destinations as Lombok Island, Komodo Island, Borneo, and numerous cruise vacations in Indonesia. Lombok Travel Online provides you Adventures were formed to provide "personalized" customer service for individuals, couples or groups that value the services of a travel professional. Has more than 17 years experience in doing and handling Lombok and Beyond Adventure, also since the year of 1990 have experience in handling and serve inbound travel to all over Indonesia travel destinations.